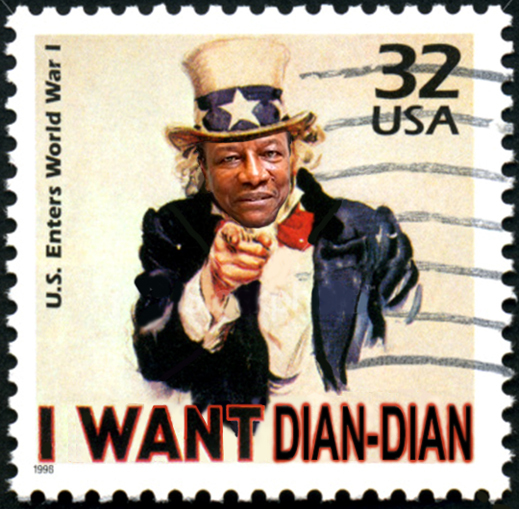 Now it’s official – the French, British, Americans, Chinese and Indians are all behind Guinean President Alpa Conde’s decision to revoke the Russian concession for the world’s largest unmined bauxite mining deposit, Dian-Dian, and hit the current concession holder, United Company Rusal, with back-tax and fraud claims, plus interest and penalties, for about $1 billion. The Russian concern UC RusAl is in a tizzy in Guinea following the announcement that a Chinese group plans to build an aluminum complex at Fria near RusAl’s refinery. A former natural resources minister, Fassine Fofane, now the boss of a consultancy named Kakande, accompanied a delegation of Chinese investors from the firm Jiuquan Iron & Steel (Group) Co. Ltd (JISCO) in Guinea in early June. Fofana’s delegation proposed building an alumina refinery and an aluminum smelter in the Fria region, close to the Friguia aluminum refinery managed by UC RusAl. The Chinese program was presented to prime minister Mohamed Said Fofana and to mines minister Mohamed Lamine Fofana. The delegation visited the mine operated by Compagnie des Bauxites de Guinee (CBG) at Sangaredi before travelling to Fria to examine the Friguia facilities. Rusal was sufficiently alarmed by the visit that it asked its representative in the country to examine how much influence Fassine Fofana had over the present government. RusAl is especially worried that the Chinese shepherded by the former minister might persuade the government to allow JISCO to use the railway to the port of Friguia to ship out its production or even, if it builds an aluminum smelter, that the government could order the Russian group to sell its alumina production at Kindia to the smelter in question. On April 6, president Alpha Conde gave a report by Alex Stewart International to the Russian envoy to Guinea, Alexander Bregadze. The report calls on RusAl to pay USD 1 billion in compensation for loss of earnings linked to the privatisation of Friguia in 2006. The same day a meeting between Conde and a Russian delegation led by natural resources minister Yury Trutnev turned rather frigid because the president declined to receive Oleg Deripaska, boss of RusAl. The Alex Stewart International (ASI) report was first ordered and compiled by former Guinean mining minister, Mahmoud Thiam, at the start of January 2010. This is an excerpt from the report. Thiam discussed it in detail with the Rusal executive in charge of Guinea, Victor Boyarkin, at several meetings during last year. Boyarkin, a former intelligence officer, reports directly to Deripaska. The head of Rusal’s international relations department, Sergei Chestnoy, a former member of the Russian Ministry of Foreign Affairs, has been sidelined as he is under investigation by the US Government. The Paris publication this week is a signal that there are now French and other international interests engaged in the lobbying for Conde to revoke Rusal’s operating and mining rights in Guinea, and put them up for new awards. Another Guinean source claims the business issues have become personal for Conde and Deripaska after the April door-closing incident, and after Deripaska sought support from Conde’s wife, Djene Kaba Condé. Thiam, who retired from his ministerial post in January and returned to his home in the US, continues to be a presidential advisor. He confirms that the January 2010 ASI report is the basis for one of the two claims which have been tabled with Rusal. As the report excerpt shows, the ASI claim, for an estimated minimum of $960 million, deals only with Rusal’s Friguia (Fria on map right) bauxite mining and alumina refining and export operations. Before the ASI report was issued, Thiam and the Guinean government had gone to court in Conakry to annul Rusal’s Friguia purchase agreement. Rusal issued statements in response that it had “purchased Friguia in full compliance with Guinean legislation and we consider the plant to be our legitimate property.” Rusal also said it would apply to an international arbitration tribunal in Paris to overturn the Guinean court’s ruling against Rusal. According to Thiam, Rusal bought the Friguia refinery for a privatization transfer price of less than $20 million. The second of Conde’s targets is Rusal’s concession to mine Dian-Dian. 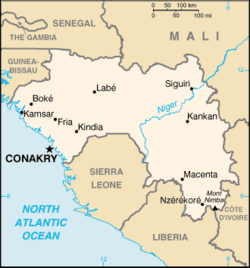 According to Rusal’s website, this deposit “is located 350 km north of Conakry in the Boke province [see Boke on map], and is a unique deposit containing around 1 billion tonnes of bauxite ore with a high aluminium content and insignificant amounts of hazardous impurities.” According to Rusal’s share sale prospectus in Hong Kong of January 2010, Dian-Dian represents roughly one tonne in five of Rusal’s entire global bauxite reserves. The company said it anticipates spending $5.5 million over five years on this project. The cost of developing the Dian-Dian mine and associated infrastructure has been estimated at more than $600 million. Omitted from this version is that Alcoa’s equal 45% shareholding partner in Halco was Alcan of Canada, and since the latter’s acquisition in 2007, Rio Tinto. The CBG operations are larger than Rusal’s in Guinea, and the largest in the bauxite world. For many years, Rusal blamed Alcoa, and its former chief executive Paul O’Neill, US Secretary of the Treasury in 2001-2002, for being behind all of Rusal’s troubles in the US, including court fights and the banning of Oleg Deripaska from entry to the US. Then in 2004-2005 Alcoa, headed by an O’Neill successor, bought two of Rusal’s aluminium rolling-mills in samara and Rostov regions. That deal was facilitated by the purported advisor to the Russian government, Dmitry Afanasyev, who has since served as a Rusal board director and lawyer to Deripaska. Alcoa sources concede that they have been careful not to appear to be challenging Rusal’s interests abroad in case Deripaska makes trouble for Alcoa’s interests in Russia. The involvement of US financier George Soros as an informal advisor to President Conde, and the despatch of Soros-funded US lawyers to Conakry to review mining permits and resource privatization records, has reawakened Rusal suspicion that the Americans, including Alcoa and the White House, are again aiming at Deripaska. But Rusal wasn’t the first of the Russian groups to try to hold on to Dian-Dian without digging a hole. In the last years of the Soviet period and early 1990s, the controlling shareholders of the Bratsk Aluminium Plant (BrAZ) — Boris Gromov, Yury Schlaifstein, plus David and Simon Reuben of London – also claimed the Dian-Dian concession, and planned to mine it to feed their smelter. “Funny how life repeats itself,” the US source says.